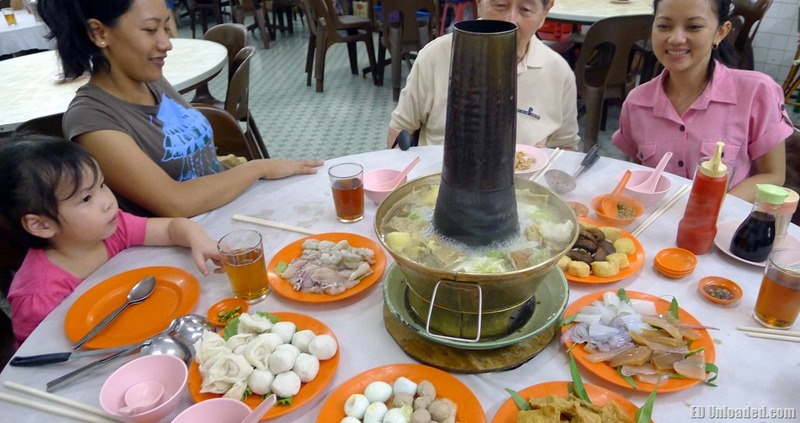 Singaporeans seem to love Steamboat, and if you are looking for something along those lines in Penang – you will not be disappointed. 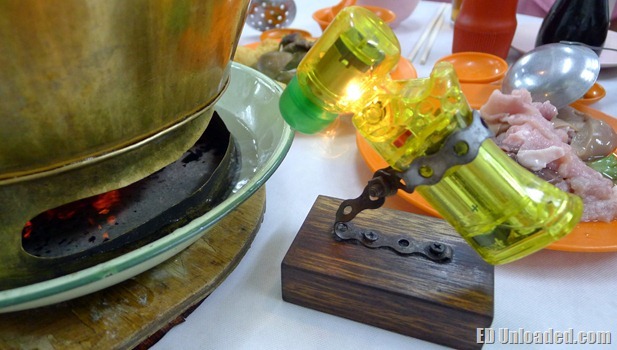 Take a walk down memory lane as you enter this restaurant with traditional Charcoal Steamboat. Truthfully, I am in my late 30s, and I myself have not seen a contraception such as this. With its huge chimney and charcoal fire, the whole steamboat experience is brought to a new level of nostalgia. If you are wondering what to order at this Chinese Teochew Restaurant, you will not be lost – as the service here is excellent. Chinese Coffee shops are not renowned for good service, but this restaurant is really good at what it is doing (as ranked against Singapore Standards). Before you can ask for a refill for soap, the waitress is already topping up your soup. And she will do it continually, until you say that you had enough. In order to increase the heat of the Charcoal fire, the waiter also puts a mobile fan, at the mouth of the stove. This ingenious use of the mobile fan, really brings up the flames, and it is a definite worthy substitute as compared to the traditional fan. 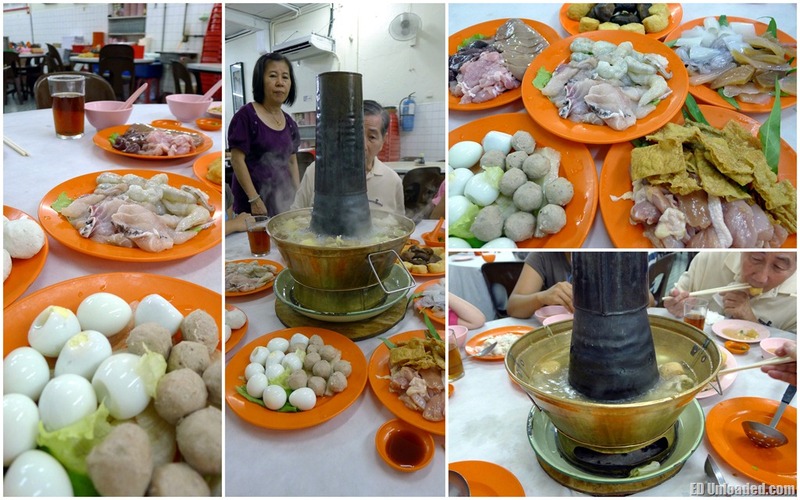 Verdict on food – I think it is a typical steamboat, with very decent dishes. I did not really try anything from the menu that makes me say “Die-Die Must Try”, but it was a really educational experience, for the kids and even me. Overall, we had a decent meal, and with a set menu at about $70 RM for the 6 adults and 3 kids, it was definitely very affordable. If you like having this type of traditional steamboat meal, do give them a call to make a reservation. Click here for the Map Location. 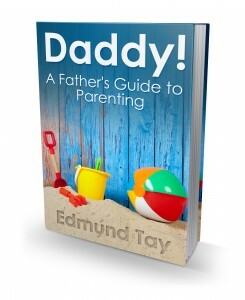 Edmund is a proud father who is passionate about Parenting. 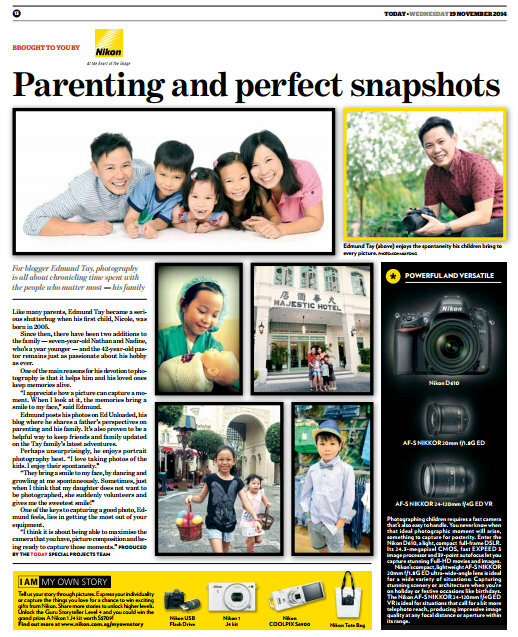 Featured in The Business Times, Channel News Asia and on Radio 93.8, ED has delivered numerous talks about Parenting in today's society and is constantly striving to become a BETTER Parent. 2 Responses to "Steamboat in Penang"
Drats I just came back from Penang, should have posted this earlier! I would love to experience this super chinmey hotpot. Never seen such a tall chimney before. Must be good for keeping the smoke from the charcoal out of your faces. 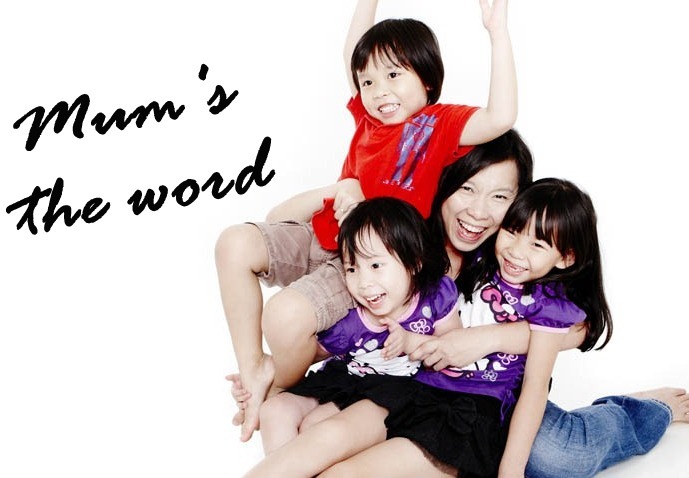 ED is a Daddy Blogger based in Singapore, who loves to write about his Parenting journey. 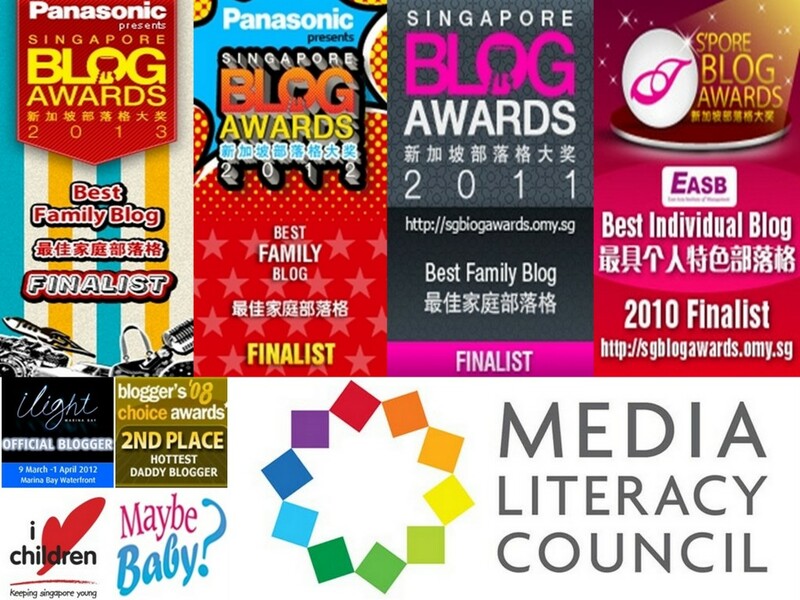 As one of the Top Parenting and Family Blogs in Singapore, follow his adventures, and discover the challenges and victories of being a Parent. 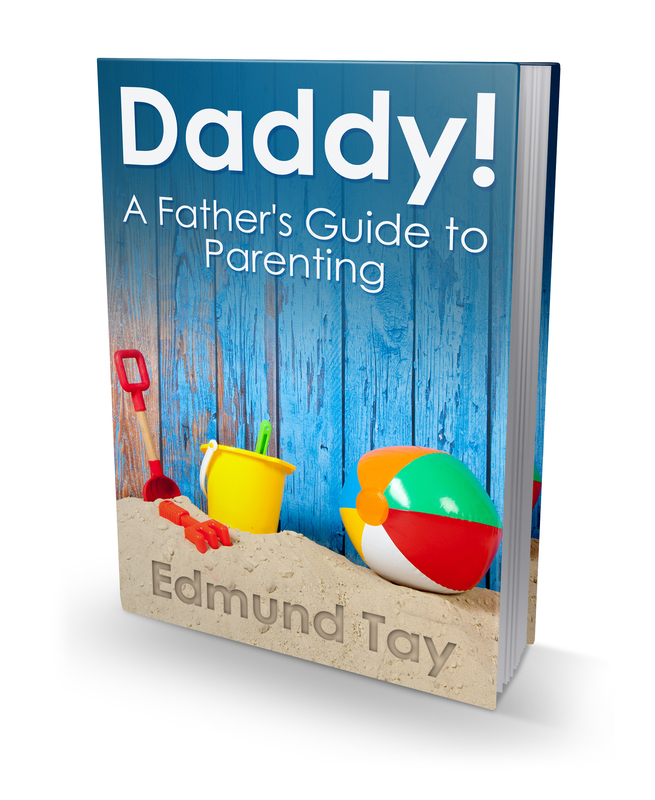 Subscribe and get FREE Chapters of our latest Book!